Isn't about time that the word "Hall of Fame" is applied to people that actually contributed something to society, rather than overpaid people who do nothing but sing or play ball? Here's an introduction to some of the innovators upon whose broad shoulders you stand when you work in the microwave industry: famous engineers, mathematicians and scientists that provided the foundations for the microwave industry. If you want to nominate a Microwave God to our humble Hall of Fame, send info to Microwaves101.com and you will win a free pen knife if he (or she) makes the cut. There is room for an unlimited number of inductees, so start shooting them in. No microwave managers please! On this page, you'll find the classics--most of these guys you should know for their contributions to electrical engineering as a whole. History-makers around WWII have their own page, and modern-day geniuses now have a page to call their own. Check them all out! Go on to the second page of the Microwave Hall of Fame. Go on to the third page of the Microwave Hall of Fame. Go to our main microwave history page. 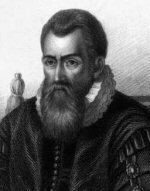 Long before any study of microwaves occurred, Scotsman John Napier, born in 1550, developed the theory of logarithms, in order to eliminate the frustration of hand calculations of division, multiplication, squares, etc. We use logarithms every day in microwaves when we refer to the decibel. His "numbering rods", constructed of ivory, became known as "Napier's Bones", and comprised the world's first slide rule. Some of his neighbors suggested that he was in league with the powers of darkness... a trait that has often been associated with successful microwave engineering! The Neper, a unitless quantity for dealing with ratios, is named after John Napier. Microwave antennas often use a Cassegrain reflector. Not much is known about Laurent Cassegrain, a Catholic Priest in Chartre, France, who in 1672 reportedly submitted a manuscript on a new type of reflecting telescope that bears his name. The key features are a secondary convex mirror suspended above the primary concave mirror, that focuses light into the eyepiece which is located in a hole in the primary mirror. The Cassegrain antenna is an an adaptation of the telescope. 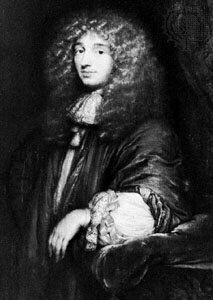 Christiaan Huygens was a Dutch scientist who lived from 1629-1695. Among many other scientific contributions (notably in astronomy), Huygens was the first to postulate the wave theory of light, in 1678. He was able to explain linear and spherical wave propagation, and derived the laws of reflection and refraction. Among those that refuted this theory was one Isaac Newton. It took a few centuries for scientist to eventually agree that Huygens was right (at least partially, due to the wave particle duality that is currently accepted). Huygens was the first person in all time to measure how long a day is on a celestial body other than Earth, using a telescope that was powerful enough to see permanent features on Mars. OK, we are discounting that even cave people probably could noticed that the "day" on the moon is roughly equal to an Earth month as we forever see just one side of it. Lazzaro Spallanzani, born in 1727 in Italy, had a huge influence on many of the physical sciences, which is even more remarkable because he was an ordained Jesuit priest. Here in the Microwave Hall of fame, Spallanzani is remembered because his Lettere sul volo dei pipistrelli acciecati, published in 1794, recorded correspondence about his experiments on the remarkable sense of direction of bats. Bats use sonar to move about in the dark, which some might argue was the inspiration for radar. 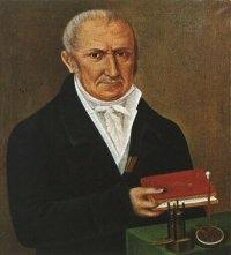 Alessandro Volta was born in Italy 1745. Volta was the first one to ask and answer the question, "if I stack a bunch of dissimilar metals such as zinc and silver in salt water, can I make some cool sparks if I connect it with this newfangled invention called "wire"?" This represented the development of the voltaic pile, the first wet-cell battery, which was the power source for all early experimentation in electricity. The emperor of Austria made Volta director of the philosophical faculty at the University of Padua in 1815 for this fine work. His name is presently used more than any other person in this Hall of Fame, in our estimation, because the units of electromotive force (Volts) are named in his honor. Volta died in 1827. Nominated by Arne Lüker. 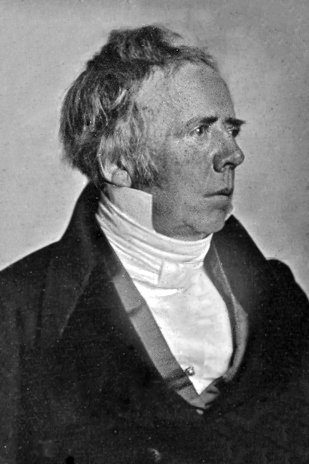 Hans Christian Oersted was born in 1777 in Denmark, and was a lifelong academic specializing in the physical sciences, as well as an amateur philosopher, a follower of Kant. Oersted's discovery in 1820 that an electric current would deflect a compass needle was the first proof that electricity and magnetism are like beautiful twin sisters Mary-Kate and Ashley Olson, irresistible to engineers, and always touching each other! The unit of magnetic field strength was named the Oersted in his honor. One of Denmark's greatest thinkers, Oersted founded the Polytechnical Institute in Copenhagen in 1829, which is now known as the Technical University of Denmark. Jean-Baptiste Joseph Fourier (1768 to 1830) was a Frenchman whose outstanding contributions to mathematics are foundations of engineering in diverse fields such as transient heat analysis, signal theory and Earth science. The Fourier series (see example here) is used in microwave engineering to go back and forth between frequency and time domains, without this mathematical trick radar image processing would not be possible. Fourier's Law describes the transient heat flow between materials, down to the molecular level, and is the basis for finite element thermal analysis software. Unfortunately, Fourier's Law provides a partial differential equation that is unsolvable, the best you can do is a piece-wise linear model. We made such a model in Excel, to be described here. 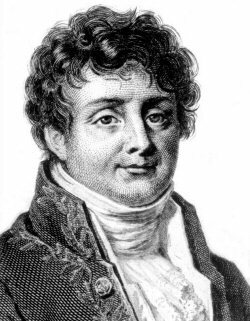 Fourier also discovered that planet Earth is a lot warmer than it should be in models that existed at the time. He postulated correctly that the atmosphere is what traps heat and increases temperature. It goes without saying that if you change the atmosphere significantly, you will change the temperature of the Earth. Also born in 1777 was Johann Carl Friedrich Gauss. Born in Braunschweig, Germany, Gauss is regarded by many as the most prominent mathematicianever. His numbers work is too numerous to even be listed here and much of it seems esoteric to engineers, such as his solution to circumscribing a 17-sided polygon inside a circle. (This is what he wanted on his grave stone!) He also proved that any integer can be expressed as the sum of no more that three triangular numbers, not something that you might use every day. His name is used every day in discussions of probability theory (Gaussian distribution). He also was a major contributor to physical sciences, inventing the heliotrope (for measuring long distances using sunlight) and developing accurate methods for measuring terrestrial magnetism. He helped install a telegraph system in Europe, at the same time accomplished painter Samuel Morse was working on his system in the United States. Let's not forget Maxwell's equations includes two that are derived from Gauss (magnetic and electric induction). The CGS unit of electromagnetic induction is the "Gauss", in his honor. 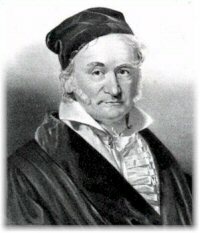 Gauss died in 1855. 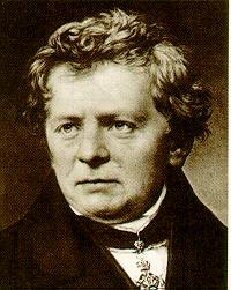 Georg Simon Ohm was born in Erlangen, Bavaria (a region of Germany), on March 16, 1787. Ohm's experimentation with voltage and direct current led him to the fundamental relationship that they are exactly proportional in a perfect conductor. Ohm's Law (V=IR) is as basic to the study of electronics, as Newton's Law (F=mA) is to classical physics. Ohm's Law applies at DC, where he measured it, and just as well at microwave frequencies. Semiconductors have been known to bend Ohm's law, but it took more than a century for this to happen. Ohm's idiot colleagues apparently dismissed his work, causing him both poverty and humiliation. He died in 1854, but his name is still used approximately one billion times each day! Nominated by Arne Lüker. Samuel Morse* (1791-1872) was initially known as an artist. He was in the middle of painting a portrait of General Lafayette when he got word that his wife was ill. He left the painting unfinished, and dashed home, but was too late. She had already died and been buried. Because of this, Morse decided that there had to be a better way to communicate over long distances, and began to study electromagnetics. There is some controversy over whether he invented the telegraph or not, as several other scientists were working on the same problem at the same time. The Morse patent, US 1,647, issued in 1840 claims the signal source (battery), switch, line, repeater, code and recorder: the entire system. The repeater is probably Morse's biggest contribution to telegraphy, it is the first example of an amplifier, and a nonlinear one at that. Morse developed the code that is named after him, choosing shorter codes for letters that are used the most used in the English language. Morse was the first technologist to get Congress to pay for his research, and by 1850, the United States was connected by 12,000 miles of commercially-successful telegraph wire. The Morse telegraph used a single wire, with the second battery terminal connected to "Earth": how do you even model that in modern EDA software? Read more about Morse on Wikipedia. * Morse brings some big baggage to the Hall of Fame, as he was a defender of slavery (using the Bible in his argument), and was anti-Catholic, so he is represented here with a big asterisk. Michael Faraday, born in 1791, is credited as the discoverer of magneto-electric induction, the law of electrochemical decomposition, the magnetization of light, and diamagnetism, among many other contributions to chemistry and physics. He did his research at the Royal Institution of Great Britain in London (thanks for the correction, Richard!) for a stipend of 300 quid per year from the British government. 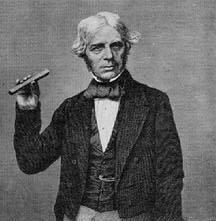 Faraday's name is immortalized in the Farad, the unit of capacitance. 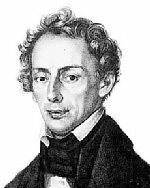 Christian Andreas Doppler was born in Austria in 1803. Being too much of a pencil-neck for the family stonemason business, he learned mathematics at the Vienna Polytechnic Institute. His theory of the apparent shift in frequency when source or observer was in motion relative to the other was proved using musicians on trains and train platforms listening for what notes the others were playing. He correctly predicted that the concept would prove valuable in astronomy in determining celestial motion because of color shifts. Doppler radar is used everyday, by pesky police radars for one trivial example. He died young at age 49. At the same time Faraday was working on EM theory, Princeton Professor Joseph Henry was also playing with large electromagnets, developing one that lifted 750 lbs., partly because he was the first person to consider source and load impedance matching to maximize power transfer. In his own words, one of Henry's experiments "illustrates most strikingly the reciprocal action of the two principles of electricity and magnetism". He was also the first curator or the Smithsonian Institute, and his work on self-induction is remembered today because the unit of inductance is the Henry. 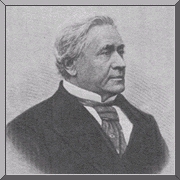 Henry lived a full life, from 1797 to 1878. 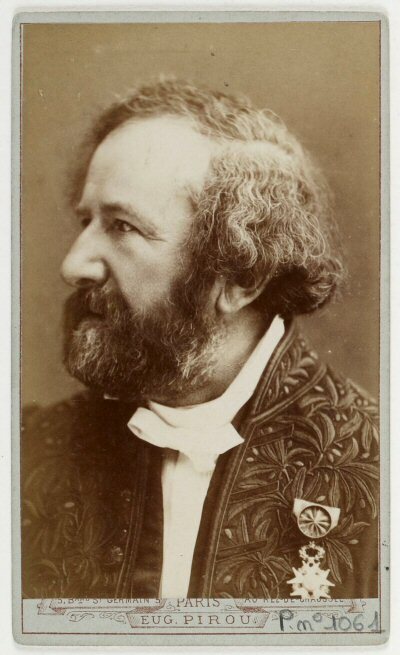 Hippolyte Fizeau (1819-1896) was a French physicist, and a fellow student with Leon Foucault. While in college together they invented a procedure for speeding up the daguerreotype process from 20 minutes to 20 seconds. Soon after, Fizeau produced the first photograph of the sun, clearly showing sunspots. Fizeau became interested in measuring the speed of light, and was the first person to make a terrestrial measurement, coming up with a value within 5% of the actual in 1849. The Fizeau experiment used an interferometer, and he sought to support or discount the theory of whether "ether" flowing through the universe has an effect on the speed of light. Fizeau may be best known as an independent observer of what is called the "Doppler effect" (and is taught as the Doppler-Fizeau effect in French schools). 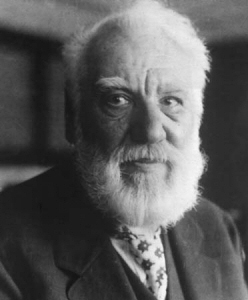 Fizeau successfully predicted the red shift in electromagnetic waves due to relative motion of celestial bodies. Fizeau is one of 72 French scientists, engineers, and mathematicians people inscribed in the base of the Eiffel Tower. 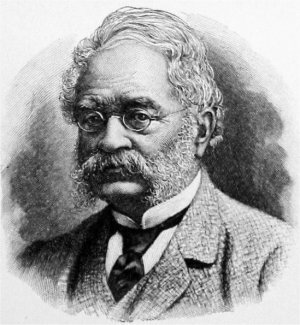 Ernst Werner Siemens (1816-1892) was born in Prussia in a town near today's Hannover and founded the company that bears his name in 1847, inventing a telegraph that pointed to actual letters rather than using Morse code. By 1848 his company built a 500 km telegraph line from Berlin to Frankfort. You'll recognize the name Siemens as the unit of conductance in the SI system, a.k.a. the "mho". Among other things he invented are an early elevator, and his company was the first to make a product out of dynamos. In 1888 he was given the title "von Siemens" but strongly objected to it, coming from a poor background with 13 siblings. For a millionaire industrialist that bootstrapped one of the world's largest corporations he was surprisingly more of a socialist than you would imagine. The history of the company includes a factory at Auschwitz during WWII, which had zero to do with Werner or the present-day Siemens company but should never be forgotten. Siemens employs over 340,000 people worldwide today. 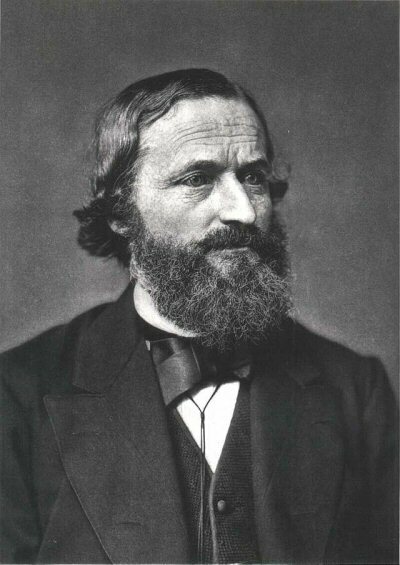 Gustov Robert Kirchhoff (1824-1887) was a physicist, born in Königsberg, East Prussia, where he also went to university. While still a student he conceived of what are now known as Kirchhoff's Laws, which all electrical engineering college students are familiar with: the sum of currents into a node equals zero, and the sum of voltages around a loop in add up to zero. For laughs, ask your manager to explain Kirchhoff's Laws some time... From these two laws, today's harmonic balance software was created. Kirchhoff contributed to spectroscopy, and discovered elements caesium and rubidium while collaborating with chemist Robert Bunsen, among many other academic accomplishments. Kirchhoff's grave is just a few meters from Die Brüder Grimm (think Rumplestiltskin, Snow White, Hansel and Gretel, Rapunzel and Cinderella before Disney ruined the stories), in the St Matthäus Kirchhof Cemetery in Schöneberg, Berlin. 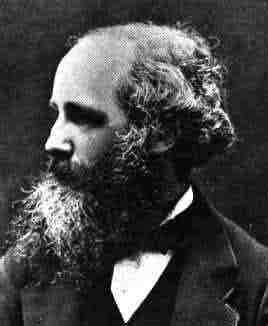 In 1873, country-boy misfit James Clerk Maxwell laid the foundations of modern electromagnetic theory in his work, "A Treatise on Electricity and Magnetism" in Scotland, which he wrote as a retired college professor. Born in 1831, and nicknamed "Dafty" by his childhood peers, Maxwell theorized that, if combined, electrical and magnetic energy would be able to travel through space in a wave. If Maxwell were here today, he would be pleased to see his equations routinely solved many thousands of times per second by today's three-dimensional structural simulators using finite element analysis. Dr. James C. Rautio, founder of Sonnet Software, Inc. (one of our sponsors! ), seems to have made the study of Maxwell a personal quest. He was a Distinguished Lecturer of the IEEE for 2005, and his talk entitled The Life of James Clerk Maxwell, is not to be missed, animated with at times with different voice impressions of 19th century Scotsmen (div ye ken?) We have some videos of Jim Rautio posted here. You can download a copy of an excellent public-domain biography of Maxwell, written in 1882 by his friend Lewis Campbell, thanks to James Rautio, who personally scanned it into a pdf. Its tucked up at the Sonnet web site. For those of you that don't read much, it has some great contemporary pictures! "the method of, and apparatus for, transmitting vocal or other sounds telegraphically… by causing electrical undulations, similar in form to the vibrations of the air accompanying the said vocal or other sound." Three weeks later Alexander Graham Bell's famous sentence, "Watson, I want to see you", was spoken into the first telephone. The same month, Custer's army became human pincushions. Bell was born a Scot in 1847 and came to the "New World" by way of Canada, later settling in Boston. His portfolio of inventions is second to none, but his life's work was mainly centered on helping the deaf. The term bel (and decibel) was named by Bell Labs scientists to honor him. Bell thought the phone was too great a distraction, and refused to permit one in his study! 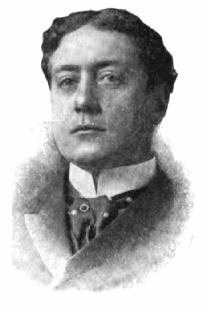 Bell died in 1922. By the 1880s, electrification of the world had begun, first for lighting, and just as important, for motors. In the United States, a huge rift developed between supporters of direct current systems (being deployed by Edison), and supporters of alternating current (to be deployed by Westinghouse). Eventually, Nikola Tesla proved to the world that alternating current and his polyphase system of generation, distribution and power delivery using the induction motor were the answer to long distance, reliable electrical distribution. New York City was wired with direct current for a time, and unreliable DC trolleys and their sparking commutators gave the Brooklyn Trolley Dodgers baseball team (today's L. A. Dodgers) their name. During this time period, "Wizard of Menlo Park" Thomas Edison performed despicable acts on neighborhood pets to show the dangers of alternating current, and eventually arranged for the first prisoner execution on August 6, 1890, using (of course) alternating current. Convicted killer William Kemmler took eight minutes to die, even though the procedure had been tested on a horse the day before. To see the botched execution from the movie Green Mile, click here (fair warning, this is a truly ugly event). The late 1800s/early 1900s were certainly the most interesting of modern times for technology. You can read about this time period in books such as Tesla, Man out of Time, by Margaret Cheney. Charles Proteus Steinmetz in his cabin near Schenectady. Looks like the museum incorrectly painted the replica table white! Charles Proteus Steinmetz (1865 - 1923) was a German-born mathematician measuring just four feet tall, but was giant of a technologist. For a time, he was the brains of the Edison Electric company. He realized the major benefit of alternating current over his boss's narrow-minded, DC approach, which is the ability to efficiently transform up and down in voltage so that power transmission could be performed at very high voltage at reduced loss. Edison was indeed a victim of his "not invented here" attitude. Through a merger orchestrated by railroad robber-baron J. P. Morgan between Edison Electric and Thomson Houston Electric Company of Lynn Massachusetts, Edison's name was removed from the combined company, General Electric. Although Tesla must be credited with inventing the induction motor which changed the world (due to its inherent, year-after-year reliability), Steinmetz was the first to provide a mathematical interpretation of how an electric motor worked, using the phasor concept. His work on hysteresis allowed motor designers to optimize motor efficiency without continuous tinkering with prototypes. Steinmetz was a socialist, which is what brought him to the United States (he had to flee Germany after writing political essays). He was also an environmentalist, an anti-racist, a protagonist of electric cars to reduce pollution, and a big fan of cigars. He preferred to live in a camp near General Electric's Schenectady plant, using a canoe to commute. Steinmetz died in 1923, in 1930 the cabin was moved to Henry Ford's museum in Dearborn, MI, you can see it there today. He had 200 US patents. Edison might be spinning in his grave these days, as high-voltage DC transmission line haves made a comeback of sorts. Once the problem of up/down converting is solved (which is an expensive proposition), DC has two advantages over AC: lower peak voltage for the same power (less opportunities to arc), and the skin depth at DC is infinite. Every gram of copper in a DC transmission line is used to move power equally, this is not true for AC. Therefore, DC has a loss advantage which can be appreciable for large diameter lines. Here's some info on HVDC power transmission lines. 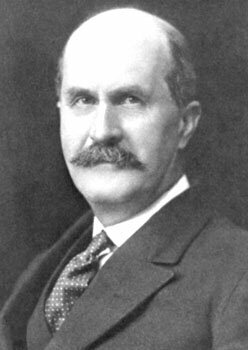 In 1884, British physicist John Henry Poynting (1852-1914) published his description of the Poynting Theorem, which describes the vector that bears his name. The Poynting vector determines the direction and magnitude of electromagnetic radiation, and gave rise to what is known as the Right Hand Rule to determine power flow. Today, metamaterials routinely demonstrate lefthandedness, yet still obey Poynting's Theorem, even though he probably could not have envisioned this development. Among his other accomplishments, Poynting wrote a physics text book that was in print for 50 years! Louis Karl Heinrich Friedrich Paschen (1865- 1947), was a noted German physicist. Among other accomplishments Friedrich Paschen established what is known as Paschen's Law, an empirical relationship that predicts electrical breakdown (sparking) based on gap, pressure and gas properties. This work was done in his doctoral thesis in 1888, at the very beginning of a long career as one of the great physics experimentalists (like Michelson). His many other accomplishments are in the fields of spectography and thermodynamics. 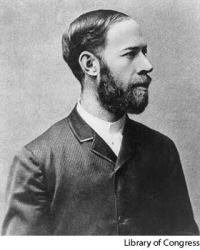 Several years after Maxwell's famous treatise, German Heinrich Hertz (1857-1894) conducted experiments that proved Maxwell's theories were correct. Hertz began testing these theories by using a high-voltage spark discharge (a source rich in high-frequency harmonics) to excite a half-wave dipole antenna. A receive antenna consisted of an adjustable loop of wire with another spark gap. When both transmit and receive antennas were adjusted for the same resonant frequency, Hertz was able to demonstrate propagation of electromagnetic waves. And thanks to Philip, we now have Mr. Hertz's correct photo! In another experiment, Hertz used a coax line to show that electromagnetic waves propagated with a finite velocity, and he discovered basic transmission line effects such as the existence of nodes in a standing wave pattern a quarter wavelength from an open circuit and a half wavelength from a short circuit. He then went on to develop cylindrical parabolic reflectors for directional antennas, as well as a number of other radio frequency (RF) and microwave devices and techniques. Hertz was honored for his work by naming the unit of frequency after him. Others soon built on Hertz's work. In 1894, 20 year old Guglielmo Marconi began experiments in Italy sending a wireless signal using Morse code, at first for short distances, and ultimately thousands of miles. Marconi was the son of a wealthy Italian businessman and an Irish mother who was part of the Jameson family whose distilled products were (and are) well known. He had limited education and no formal training as engineer or scientist, just an idea that wireless communications would one day render the telegraph obsolete, and the wherewithal and family support to pursue his dream. Marconi brought together the "perfect storm" of engineering curiosity (notice we didn't say "scientific"), confidence, financing and ego that comes along once in a lifetime to rattle the establishment out of bed and change the world. His equals today might be Bill Gates or Elon Musk. Marconi faced resistance, resentment and reprisals from many well-known scientists of the era, and almost lost his personal fortune. His high-tech startup of the '90s, The Wireless Telegraph & Signal Company (a U.K. company) was soon renamed Marconi's Wireless Telegraph Company. This business began by installing company-owned and operated wireless communications onto ships to communicate with huge antenna installations on key coastlines, while the founder pursued ground communications across the Atlantic. 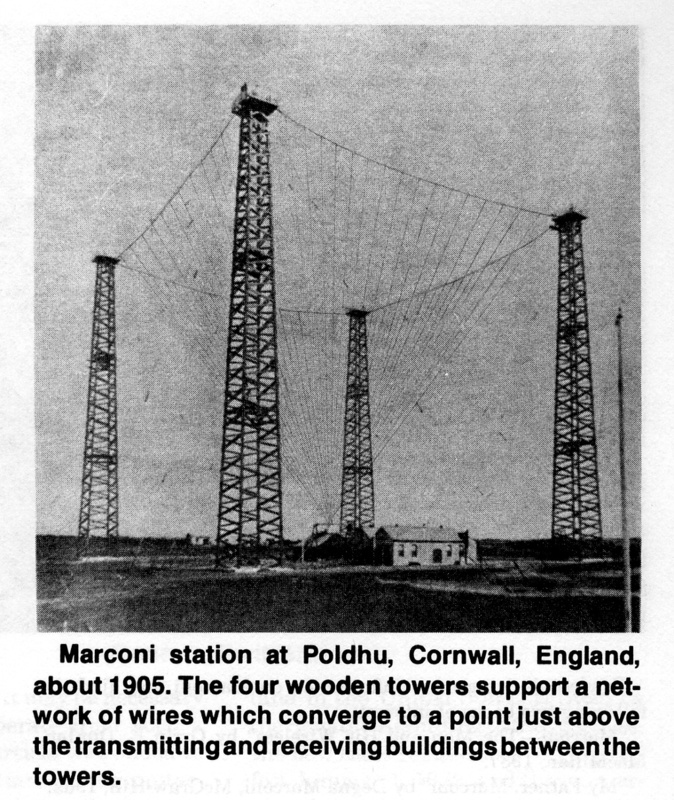 It is ironic that Marconi's methods of trial and error for tuning his equipment would have taken much longer if not for access to transatlantic cables owned by the telegraph companies his technology would compete with. Marconi received the Nobel physics prize of 1909 for his work, shared with German Ferdinand Braun. By 1911, "Marconigrams" had helped capture a famous murderer and in 1912 enabled the rescue of Titanic survivors. Marconi was the first experimenter to notice that transmission during daylight hours was more prone to noise than at night, which was later explained by Heaviside as due to the "Marconisphere" (now known as the ionosphere). Approximately 350 civilian Marconi wireless operators were killed at sea during the first World War, as the wireless shed was a crucial target for maritime marauders. Although Marconi was the singular force behind long distance wireless communications, he admitted he didn't really know how it all worked. Some years later the scientific community discovered that Marconi's idea that longer wavelengths would travel farther around the globe was incorrect, and Marconi's amazing 300,000 watt steam-powered spark gap transmitters, building-sized capacitor banks and multi-mile antenna elements were unnecessary at higher frequencies (short waves). Marconi died in 1937, to learn more about his life and that of murderer Harvey Crippen, go to our book page and order Thunderstruck. Marconi's company has long since has been chopped up and digested into BAE and Ericsson among others. A lot was happening in radio around the previous turn of the century. 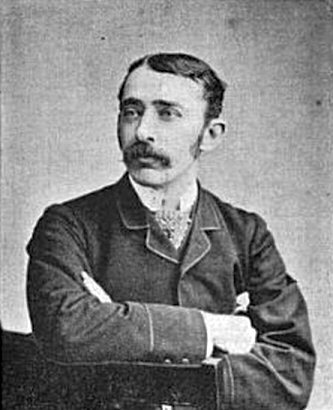 John Ambrose Fleming, who had worked with Maxwell, Marconi, and Thomas Edison, invented an "thermionic valve", better known today as a diode tube (Brits still refer to tubes as valves.) Marconi's receiver used something called a coherer in order to pick off the Morse code signal from RF; later radios used crystal detectors (cat's whiskers) to detect the audio. Fleming's valve was patented, and soon Lee de Forest made a major discovery as he tried to find a way around Fleming's patent (more about that later). Fleming's valve made use of a discovery by Edison when he was trying to figure out why his light bulb was burning out. The Edison Effect is what happens when conduction occurs across a vacuum when one electrode is heated. Edison couldn't see any commercial applications of this effect and essentially discarded it. See our page on detectors for a little more history that tries to put this all in perspective. Fleming also came up with an equation that expressed the impedance characteristics of high frequency transmission lines in terms of measurable effects of electromagnetic waves, and coined the term "power factor". As the son of a minister, Fleming got his shorts in a knot about Darwin's theory of evolution. 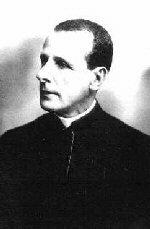 Father Roberto Landell de Moura is a little known pioneer of wireless transmission of voice. In 1900 he publicly demonstrated voice transmission while others were merely transmitting Morse code. In 1901 he received a patent in Brazil for "equipment for the purpose of phonetic transmissions through space, land and water elements at a distance with or without the use of wires". 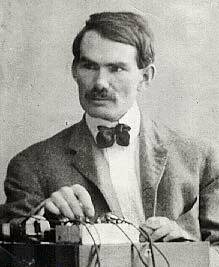 He then traveled to the United States where he was awarded three patents in 1904: the "Wave Transmitter" which is the precursor of today's radio transceiver, the "Wireless Telephone" and the "Wireless Telegraph". His sketches have survived, and his equipment has been duplicated in modern times to show he was on the right track. Read his fascinating Wave Transmitter patent here. Nominated by Ricardo, an Electrical Engineering student at University of Campinas, Brazil, and fan of microwaves101.com! Reginald Aubrey Fessenden, born in Canada in 1866, was a huge pioneer of wireless. He was the first inventor to demonstrate transmission of voice in December 1900 (Marconi thought that Morse Code was good enough for all communication needs), and his first transmission involved a weather report! He was the first to think in terms of continuous wave (CW) transmissions instead of the pulsed spark-gap transmitters of the day. He built some clever high speed alternators to provide up to 200 kHz, 250 kW signals for transmission, before anyone had developed a useful electronic oscillator. He also developed the theory of heterodyne detection and coined that word (demonstrating and patenting the first mixer), but didn't have a practical, stable source to reap its full benefits in a radio receiver. Did we mention that he invented 500 other things too? A rare combination of genius and entrepreneur, thanks to Brian, he is now in the Microwave Hall of Fame! Brian wishes to point out that Fessenden, Tesla, Charles Steinmetz and Ernst Alexanderson all worked for Edison. Is the top genius the one who can make business out of the genius of others? How many similar genius’s worked for Bill Gates and helped him make his billions and whom we will only hear about 100 years from now if ever? Alfred Abraham Michelson (1852-1931) was born in Prussia to Jewish parents and emigrated to the US when he was two years old. Pronounced "Michealson", he first measured the speed of light in 1878 resulting in an estimate of 300,140±480 km/s (not much different from other experimenters at the time). This privately funded experiment used mirrors separated by just 152 meters, and was the start of a life-long passion. Michelson was the first US scientist to win the Nobel prize for Physics, in 1907 "for his optical precision instruments and the spectroscopic and metrological investigations carried out with their aid". Later he continued to improve measurement accuracy of the velocity of light, and his most accurate experiments occurred after he was 70 years old. By 1926 he had data to show 299,796±4 km/s, from a measurement between Mt. Wilson and Mt. San Antonio in California in today's Angeles National Forest. To get this accuracy, distance needs to be accurate to centimeters across the 35 km separation. In 1929 he set about to measure speed of light in vacuum in a one mile pipe. He died in the middle of the experiment, which turned out to be corrupted ±10 km/s by the slipping San Andreas fault, alluvial soil and sea tides. Without an accurate value for "c", radar would be in serious trouble. Learn more about Michelson and Morley's interferometric speed-of-light measurement here. If you have the opportunity to visit the Naval Air Weapons Station at China Lake, you might visit "Mich" labs, named after Michelson, which has a great exhibit of Michelson artifacts in the lobby. Be sure to pronounce it "Mike Lab"! The Michelson-Morley experiment is regarded as the greatest failed experiment of all time. Using the amazing interferometer they developed together (think pool of mercury floating a one-foot thick slab of granite) in 1887 at what is now Case Western Reserve University, M&M set out to measure how the "aether wind" affects the speed of light. This hypothesis proved wrong, aether wind was not detected, and the second scientific revolution had begun. Read Michelson and Morley's 1887 American Journal of Science paper here! Michelson was the first person to measure the diameter of a star (Betelgeuse) in 1927. Karl Ferdinand Braun (1850-1918) worked on wireless telegraphy. His inventions include the first semiconductor, the point-contact diode used in "crystal" radios; before that receivers had to use something called a "coherer" to convert RF to baseband. He also invented the first cathode-ray tube to provide a visual display, the precursor to radar screens, oscilloscopes and video screens alike. Today the Ferdinand-Braun-Institut für Höchstfrequenztechnik in Berlin carries out some great work in microwave technology, including flip-chip coplanar-waveguide MMICs. Braun shared the 1909 Nobel prize for physics with Marconi. Textronix named a street "Karl Braun Drive" at their Beaverton facility. They also named streets after Schottky, Terman, Shannon, Zworykin and more electronics' pioneers. Check it out! Lee de Forrest (1873-1961) was a prolific inventor (180 patents) and is regarded as inventor of the three-terminal tube, which he called the audion. Many regard him as the father of radio. By adding the grid to Fleming's diode "valve", de Forest showed how to control the signal but did not achieve amplification with the three terminal audion, which in hindsight is arguably one of the top ten inventions in the history of the world. Later inventors, most notably Armstrong, built on de Forest's discoveries and radio soon became a rage; even non-electronics companies such as Radio Flyer cashed in on the name. De Forest disliked the word "wireless", and helped populate the new word "radio" which was derived from radiation. Many early radio inventors were pawns of giant industrial companies such as Westinghouse, AT&T and General Electric, and the fight over patent rights was fierce and discredited some of the best minds in the field. De Forest suffered as much as any, in the patent fight of the century for who invented the regenerative receiver. Even then almost all radio engineers accepted that Armstrong was the inventor, but patent law can be a tangled web indeed. De Forest went through four marriages, but lived a long life and saw radio move from curiosity, to invaluable war and peacetime communication tool, to mass media outlet. Lee spent many good years in Hollywood, among other honors won an Oscar for developing a way to add sound to motion pictures. 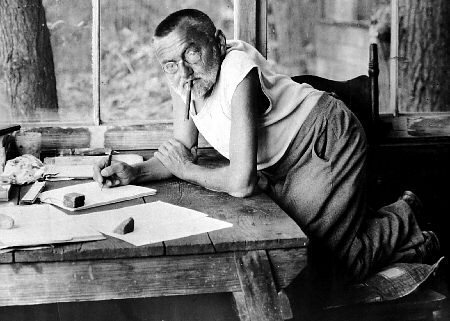 Late in life he became disillusioned with radio, as he was neither a fan of pop music nor advertising. Neither was Elvis Costello back in 1977... Nominated by Brian! John Stone Stone was born in Virginia in 1869 and had a long and storied career in telephone and radio. As a child in Cairo (his father was a general), Stone became proficient in five languages, and was an alumnus of both Columbia and Johns Hopkins University. Although he failed as an entrepreneur (his telephone and telegraph company folded), he made his contributions as an independent consultant. Many of us today would consider that "living the dream..." Wikipedia focuses on Stone's telephone and radio work but doesn't do justice to arguably his best contribution to people-kind: he developed radio location instruments, which can be appreciated by looking at some of his 120 patents. Stone’s scheme involved a two element antenna with a first element arranged no more than a half wavelength away from a second element. Patents  and  below show Stone’s invention. The two elements are arranged so that their respective signals add up 180 degrees out of phase with respect to each other. Thus, a signal incident in a direction normal to the plane containing the two elements their combined action is nil. Stone also embellished upon his invention in later years [3, 4]. John Stone Stone, Method of determining the direction of space telegraph signals, US Patent 716,134, December 16, 1902. John Stone Stone, Apparatus for determining the direction of space telegraph signals, US Patent 716,135, December 16, 1902. John Stone Stone, Apparatus for determining the direction of space telegraph signals, US Patent 899,272, September 22, 1908. John Stone Stone, Apparatus for determining the direction of space telegraph signals, US Patent 961,265, June 14, 1910. Stone founded the Society of Wireless Telegraph Engineers (SWTE), which later became part of the Institute of Radio Engineers. He served as president of the IRE from 1914-1915. Stone died in 1943. Nominated by Hans! In 1915 a father and son team won the Nobel prize for Physics. William Henry Bragg (1862-1942) and William Lawrence Bragg (1890 to 1971) developed the science of crystallography using X-ray diffraction. 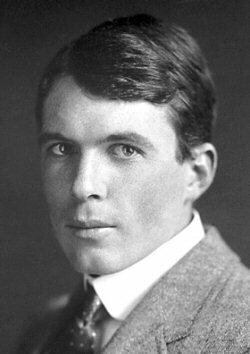 William Lawrence Bragg remains the youngest Nobel laureate at 25 years of age. How is your career going? The 100th anniversary of crystallography was celebrated in 2012. In microwave engineering, semiconductors are analyzed using crystallography. We have also adopted a dual meaning: Bragg frequency refers to the frequency where a periodic structure suffers from additive interference and hence ceases to function. Examples of Bragg frequency can be found in studies of slow wave lines, artificial transmission lines, and even chicken dots! 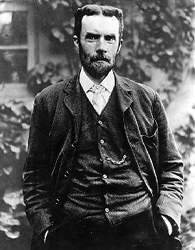 Mad scientist Oliver Heaviside's research in transmission-line theory was first applied to telegraphs, including the transatlantic cable, but microwave engineers use his concepts to this day. A mathematician, he rewrote Maxwell's messy equations into their simple, vector-calculus form. He predicted the E-layer of the ionosphere, which allows propagation of electromagnetic waves around the curvature of the earth. A trendsetter years ahead of Ed Wood, he often wore a silk kimono and painted his nails pink, accoring to the biography by Paul J. Nahin. At some point he replaced all the furniture in his house with large rocks. Ed wood was a transvetite, in Heaviside's case, demetia is probably what caused his quirky behavior. 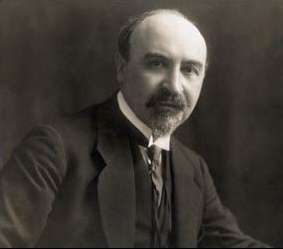 Leo Hendrik Baekeland was born in Ghent, Belgium on November 14, 1863 to poor parents, yet earned his doctorate at University of Ghent by the age of 21. He emigrated to the U.S in 1889, and made his original fortune selling a process for photographic paper to George Eastman for $1,000,00 in the 1890s. Later experimentation by Baekeland resulted in discovery of the very first plastic, a thermoset compound created from formaldehyde and phenol that became known as Bakelite. Bakelite was a huge enabler for bringing radio to the masses, not just as a substrate for mounting electrical components due to its insulating property, but also as the material for mass producing cabinets. Click this link to go to the radio museum and notice the progression from hand crafted wood cabinet to molded enclosure during the 1930s. There's at least one Bakelite museum! Baekeland died in 1944, we can't help but wonder what his coffin was made of!He wrote a forotten book about a motor trip through Europe, one fo these days we'll review it. Although Marconi was awarded the Nobel prize in 1909 for his "wireless telegraphy" work , the U.S. Supreme Court revoked Marconi's patents since Serbian-American genius Nikola Tesla had taken out a patent for radio communications as early as 1897. Doesn't Tesla look smug in this picture? Tesla's life has taken on legendary status, having obtained more than 700 U.S. patents. Perhaps because he was jerked around by Thomas Edison to the tune of $50,000 early in his career, we can thank Tesla for perfecting alternating-current power distribution and fluorescent lights. Some of his other inventions include a unique steam turbine, liquefaction of nitrogen, and the awesome Tesla coils from which he coaxed 10,000,000 volts to light up the Colorado sky. No other inventor has has more articles written about him. Nikola Tesla is quite possibly the greatest engineer that ever lived; you can quote the Unknown Editor on that. You can find over 100 articles with "Tesla" in the title on the IEEE web site. Watch David Bowie play Tesla in the movie The Prestige! By 1894, Sir Oliver George was conducting experiments noting that directional radiation was obtained when he surrounded a spark oscillator with a metal tube. 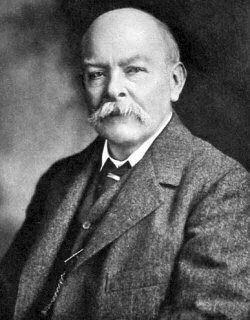 In 1897, Lord Rayleigh (John William Strutt) proved mathematically that waves could be propagated inside a hollow metal tube. Rayleigh also noted the infinite set of modes of the TE or TM type which were possible, and the existence of a cutoff frequency. Waveguide was essentially forgotten, however, until it was rediscovered independently in 1936 by George C. Southworth at AT&T (Bell Telephone Labs) and W.L. Barrow at MIT. Up until this point, focus had been on sending and receiving communication signals. As the new century progressed, scientists worked with longer and longer wavelengths to achieve greater and greater distances. In India, however, Jagadis Chandra Bose was working with shorter and shorter waves. In 1895 Bose gave his first public demonstration of electromagnetic waves, using them to ring a bell remotely and to explode some gunpowder. The wavelengths he used ranged from 2.5 cm to 5 mm. Think about that. He was playing at 60 GHz over one hundred years ago! Bose's investigations included measurement of refractive index of a variety of substances. He also made dielectric lenses, oscillators, receivers, and his own "polarization device." In 1911, only three years after building the first helium liquefier, Dutch researcher Heike Kamerlingh-Onnes discovered that mercury loses its electrical resistance entirely when cooled below 4.2 K in a liquid helium bath. Why do we include the discoverer of superconductivity in the microwave hall of fame? Stick around, the best in microwaves is yet to come with the advent of high-temperature superconductors! A scientist from Kcynia Poland, Jan Czochralski, was many years ahead of his time. He is ranked among the greatest Polish scientists, next to Maria Skłodowska-Curie and Nicolas Copernicus. In 1916 he developed a method for growing single crystals, which was basically forgotten until after World War II. Today the semiconductor industry depends on the Czochralski method for manufacturing billions of dollars worth of semiconductor materials. He was accused of being a Nazi sympathizer but was later acquitted and died in Poland in 1953. What a wacky world, Bill Gates is the richest man on earth and most people don't even know how to pronounce "Czochralski!" Walter Schottky's name is embedded in solid-state physics (Schottky effect, Schottky barrier, Schottky contact, Schottky diode). Born in 1878 in Germany, he was a contemporary of Einstein and Max Planck. His work included superheterodyne receivers, noise theory, and radio tube work such as invention of the tetrode, but his most important contribution to microwaves is no doubt his investigation of metal-semiconductor rectifying junctions (published in 1938), which is the basis for the gate contact of all MESFETs. He died in 1976, one year ahead of Elvis. Harry Nyquist was born in Sweden in 1889, and emigrated to the U.S. when he was 18 years old. First schooled at University of North Dakota (uff-da!) and later earning a Ph.D. from Yale, he settled in to a long career at ATT and later Bell Labs. Nyquist's 1928 paper Certain topics in Telegraph Transmission Theory nails down a fundamental law of telecommunications: the highest frequency that can be accurately sampled is one half the sampling frequency (the Nyquist Frequency). His other most notable contribution to electronics is the Nyquist Stability Theorem (1932), which determines when a feedback amplifier will and won't be stable. He also contributed to noise theory, the fax machine, and television, earning 138 patents and several major awards (as if the Microwaves101 Hall of Fame wasn't enough!) Nyquist died in 1976. Thanks to Zach at LockMart! 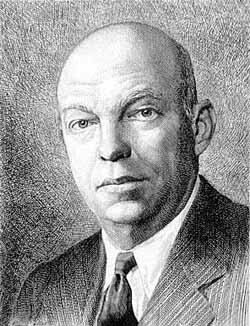 While still in high school, Edwin Howard Armstrong erected a 125 foot radio mast at his parents' house in Yonkers, New York, to receive the weak radio signals of the day. While still in college in 1912, he invented a feedback circuit based on Lee de Forest's three-terminal audion tube that provided the first usable electrical amplifier, and submitted a patent for the regenerative receiver in 1913. Think about this: before Armstrong, the only "amplifiers" that existed were the mechanical relays used to boost voltage on long telegraph lines! Armstrong won the triple crown of electrical engineering, soon inventing the superheterodyne receiver, then inventing frequency-modulation (FM) broadcasting. He cashed in on his patents, in spite of a corporate war between AT&T and RCA over who really invented the feedback amplifier, Armstrong or de Forest, but he spent more time in court than Perry Mason. On January 31, 1954 he committed suicide by leaping from a building; an ironic end to a brilliant man who often scared his co-workers by fearlessly scaling antenna installations for fun. Dirtbag lawyers and corporate greed aside, the IRE (predecessor of IEEE) gave credit to Armstrong for the key inventions of radio. Nominated to the Hall of Fame by OAH of Towaco NJ! Read Empire of the Air by Tom Lewis for more info on the history of radio. As radio applications grew more sophisticated (and popular), stations started broadcasting regular commercial programs. By 1920, the US Department of Commerce stepped in and began issuing radio licenses, and in 1921 formally declared a special service category (and corresponding transmission wavelength) for commercial stations. Want more? Check out the next room in the Microwave Hall of Fame! Want to nominate someone for the Microwave Hall of Fame, complain about broken links or suggest links to your favorite technology history website? Drop us a line!